I know I’m prejudiced, but I love Indy cars. Born in Indy, have been going to races since 1962 … yikes I’m old! I mean real race cars don’t have roofs, right? 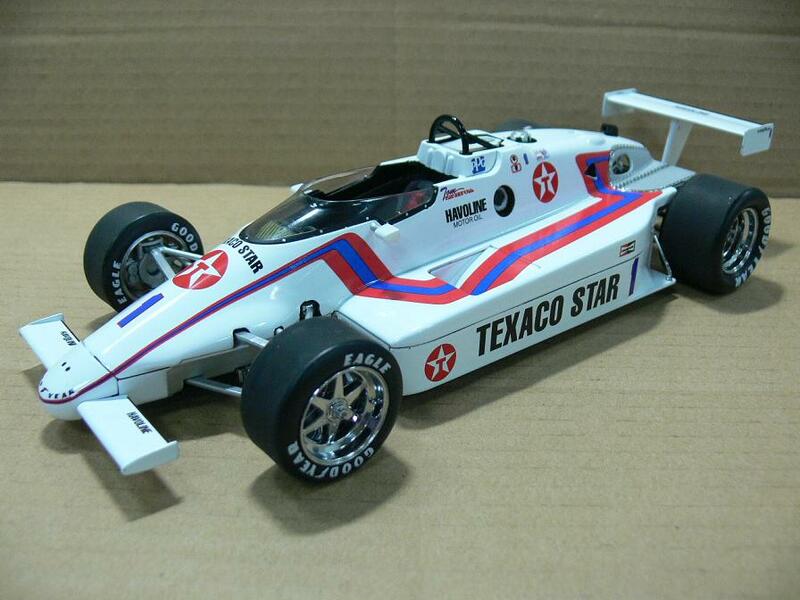 Tom Sneva’s 1984 Indy 500 Pole winner, the Texaco Star will be available soon. Well, the folks at Replicarz in Vermont understand that and just keep the cool new Indy die-cast racers coming. I know I’ve gone on and on about the Marmon Wasp, but it’s almost here. Replicarz assures me it’ll be out in MAY, appropriately. AND, look for another batch of modern-era rear-engine racers then too.First, the Wasp itself looks to be spectacular. The highly detailed replica of the 1911 Indy 500 winner, says Brian Fothergill of Replicarz, has been tweaked even further to ensure authenticity and create a show stopper. He notes that the engine will be wired and that the end of the Wasp’s stinger tail will be painted flat black to add depth.But next up in May is the 1984 Indy pole winner’s car, the Texaco Star driven by the Gas Man, Tom Sneva. 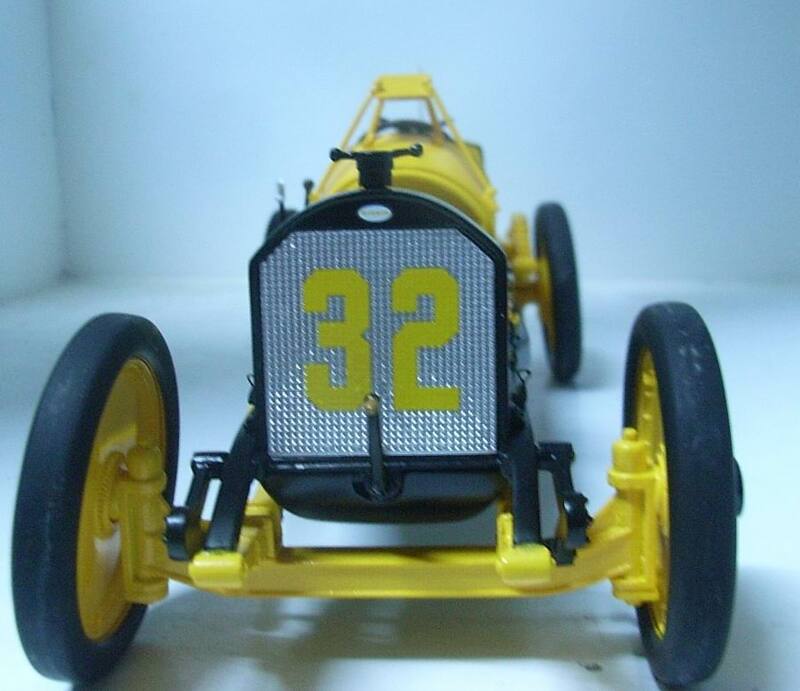 I know I’ve been teasing you a bit with updates on the new Replicarz 1/18 die-cast model of the 1911 Marmon Wasp, but this one promises to be a winner. OK, so they aren’t really spy shots, but someone we know who is close to the project has sent us more “spy photos” of the new Replicarz Marmon Wasp. This is the racer that won the inaugural Indianapolis 500 in 1911 with Ray Harroun aboard. No secret, I’m an Indy 500 nut job. Love the cars, love the history, love all the wild crazy designs over the years. I also love die-cast models of historic Indy racers. The Wasp engine will be wired to match the original 1911 racer. One racer dominated the Indy Car scene on pavement and dirt during the 1950s. He was a three-time Indy Car champ and winner of the 1958 Indy 500. His name? Jimmy Bryan. 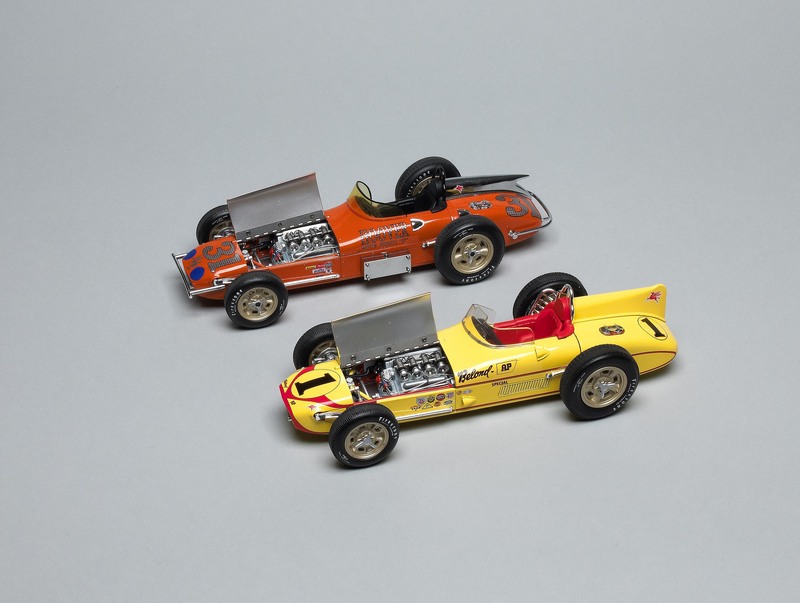 Replicarz brings back the Indy 500 laydown roadsters with Bobby Marshman’s 1961 rookie car (back) and Jimmy Bryan’s 1958 Indy winner.